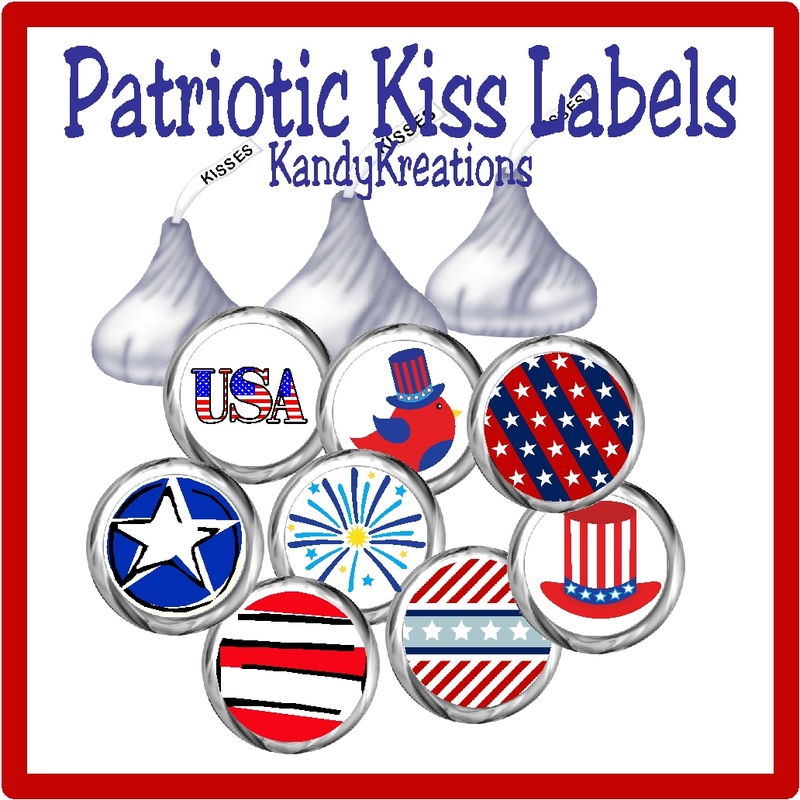 These Hershey kiss labels would be perfect for our 4th of July picnic this year. So simple and cute that our friends are going to love the addition to the party. 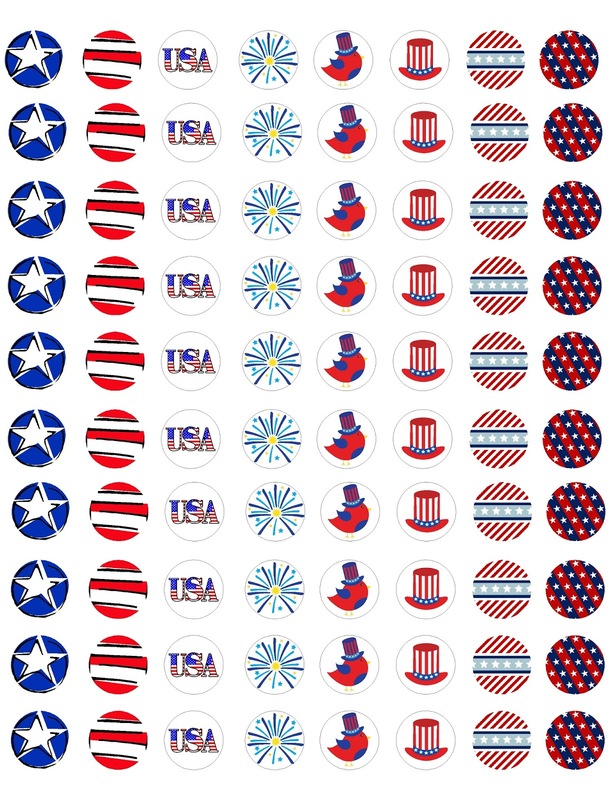 Plus, its a quick and easy project with a free printable. Love it! I'm back again with the kiss labels. I think this is one of the easiest ways to add a little fun to your next party. Just print these labels on to card stock or sticker paper, use a 3/4 inch circle punch to cut them out, and then use a little bit of glue (if you didn't use sticker paper) to attach them to the bottom of Hershey kisses, or even, Reeses peanut butter cups. 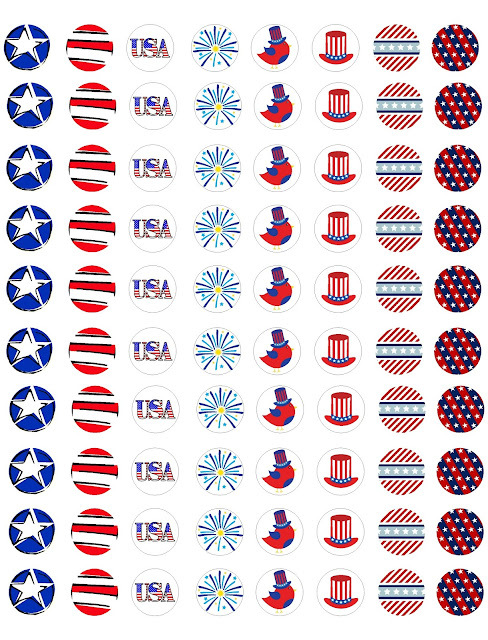 Now you have a cute addition to your next patriotic party or 4th of July picnic. This printable is part of our 30 days of Summer free printable series. Check here for more great prints. Graphics are courtesy of The Digi Rainbow and Simply Brenna.